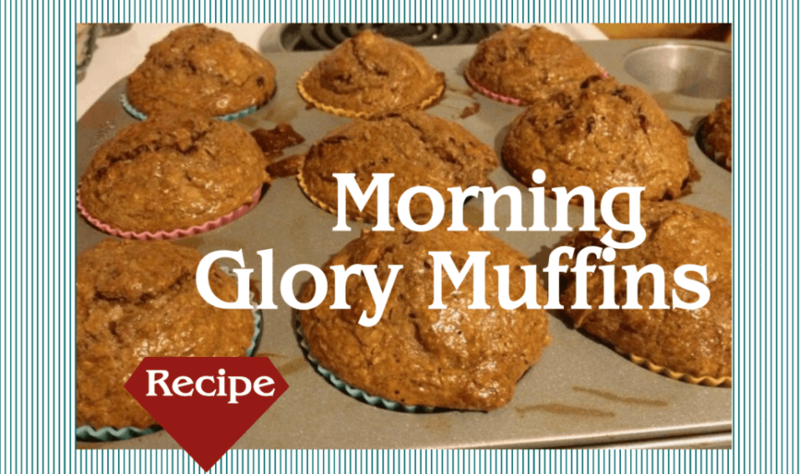 Morning Glory Muffins are a healthy and nutritious way to start the day. 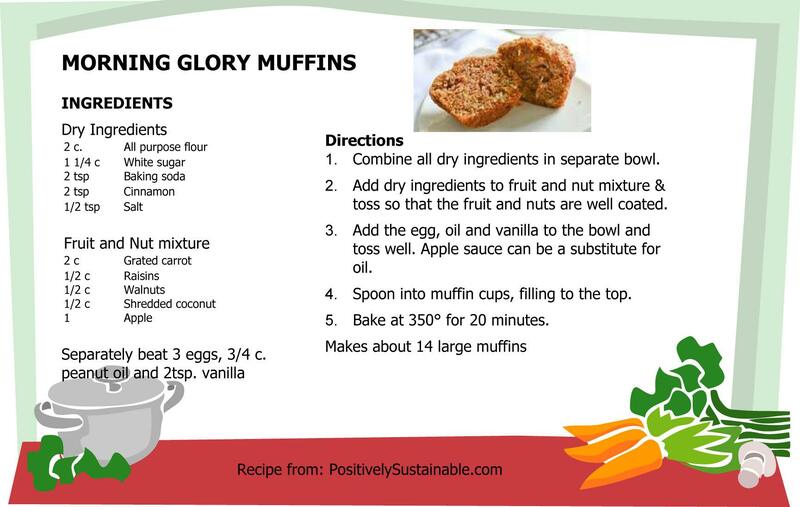 Packed with healthy ingredients including carrots, raisins, walnuts and apple, morning glory muffins will be one of your favorite morning foods. 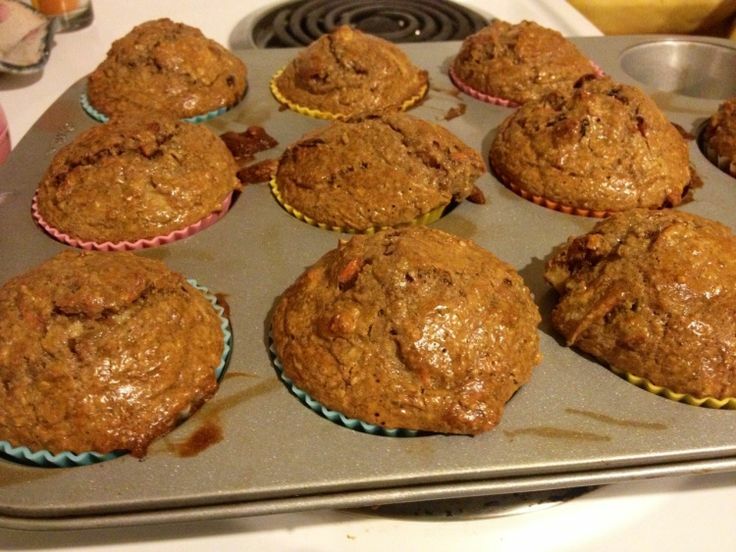 Make a batch of these muffins and if you can’t eat them all, they store well in the freezer for 1-2 months. Beat 3 eggs, oil (or apple sauce) and vanilla in a bowl and mix well. Combine grated carrot, raisins, walnuts, coconut and shredded apple in a large bowl. Bake at 350 degrees for ~20 minutes or until muffins spring back when touched lightly in center. 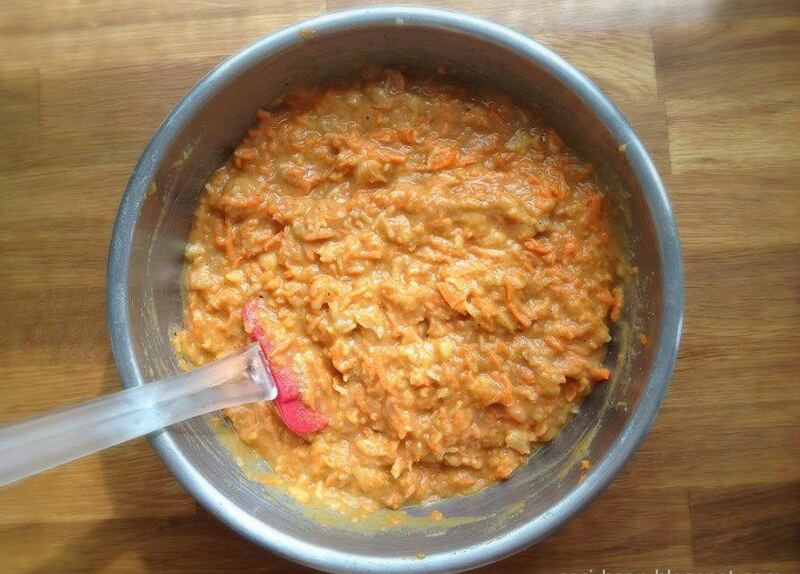 Remove muffins from pans immediately. Makes about 14 large muffins. Try these other yummy from-scratch recipes: Make Bacon from Scratch, Butternut squash soup.